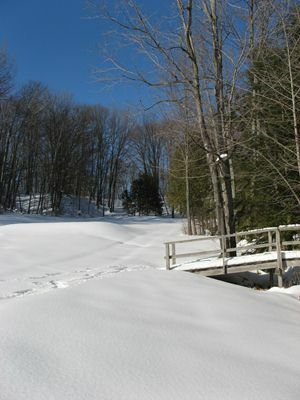 Northern Michigan trails for cross country skiing and snowshoeing are spectacular. 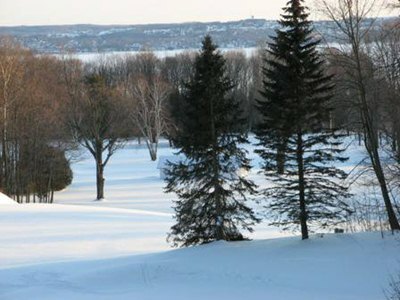 With woods, dunes, frozen lakes, and spectacular vistas, these Charlevoix County trails near Charlevoix and Boyne City are the place to be December-March. Many outfitters Up North rent cross country skis and snow shoes. Get outside! Avalanche Mountain Preserve Great terrain with both flat and steep areas on 5.6 miles of ungroomed trails. Lake & Ann Streets, Boyne City. 231-582-6597. Charles A Ransom Preserve This Horton Bay preserve has 1.5 miles of ungroomed trails including vistas of Lake Charlevoix and Lake Michigan on 80 acres. Park on Maple Grove Road. 231-347-0991. Mount McSauba Three lighted loops, 8K of groomed trails, fabulous views, and a variety of terrain. Rentals available. Mount McSauba Road, Charlevoix. 231-547-3253. Nathan Barry Diggers Preserve Located between Horton Bay and Charlevoix with parking off Boyne City-Charlevoix Road with 1.5 miles of groomed trails on a 75 acre preserve. 231-347-0991. Raven Ridge Preserve This East Jordan preserve has 140 acres and 1.5 miles of hilly ungroomed trails--perfect for snowshoers. Located between Boyne City and East Jordan with parking off Fuller Road. 231-347-0991. Rogers Family Homestead Preserve Along the Jordan River near East Jordan with 1.5 miles of family-friendly terrain on 135 acres. 231-347-0991. Springbrook Pathway Ungroomed with 10k on 3 loops. Chandler Road. 987-732-3541. Young State Park Three loops on 4.5 miles of trails. Boyne City Road. 231-582-7523.